One of the best Kids music reality shows, Amrita TV Superstar Junior 2016 is all set for the auditions. You can register for the auditions right now. The last date is fixed as 20th January 2016. Auditions will be held at Calicut, Ernakulam, Thrissur and Trivandrum. Kids from age group 8 to 14 are eleigible for the auditions. Just register you seat through SMS registration. Complete SMS format and numbers in different places were given below. Just choose your place and SMS accordingly. Amrita Tv is one of the leading entertainment channel in Malayalam language which is famous for different TV reality shows and programs. 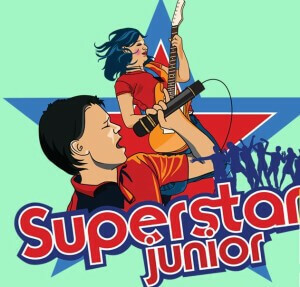 Super Star Junior is the upcoming kids music shows in Amrita TV. 1 How to register for Amrita TV Superstar Junior Audition 2016? How to register for Amrita TV Superstar Junior Audition 2016? Just pick your Mobile and send SMS in specified format below. Last date to apply for Amrita TV Superstar Junior auditions is 1st January 2016. Kids from 8-14 years of age can apply for the show. Make your Kids happy and develop their music talents all time. We applied for Superstar Junior 2016 thru SMS and we selected Ernakulam as audition centre (for our Son ). How can we know that you received our SMS ?